INDIANAPOLIS ― Top special operations snipers will replace their 7.62mm sniper rifles with a caliber that doubles their hit probability at 1,000 meters, increases their effective range by nearly half, reduces wind drift by a third and has less recoil. What caliber is that, might you ask? Big Army has been at work on its own intermediate caliber rifle round as officials simultaneously develop the Next Generation Squad Automatic Rifle to replace the existing 5.56mm Squad Automatic Weapon. That project is one piece of a larger effort to also build a next-generation carbine. The Corps is replacing the Vietnam-era M40s for sniper teams. But while they are building an entirely new platform, starting somewhat from scratch in an effort that is expected to see a rifle that’s fielded in 2022, special operations snipers will see barrel changes and modifications to their sniper support rifles fielded beginning next year, said the command’s ammo expert. 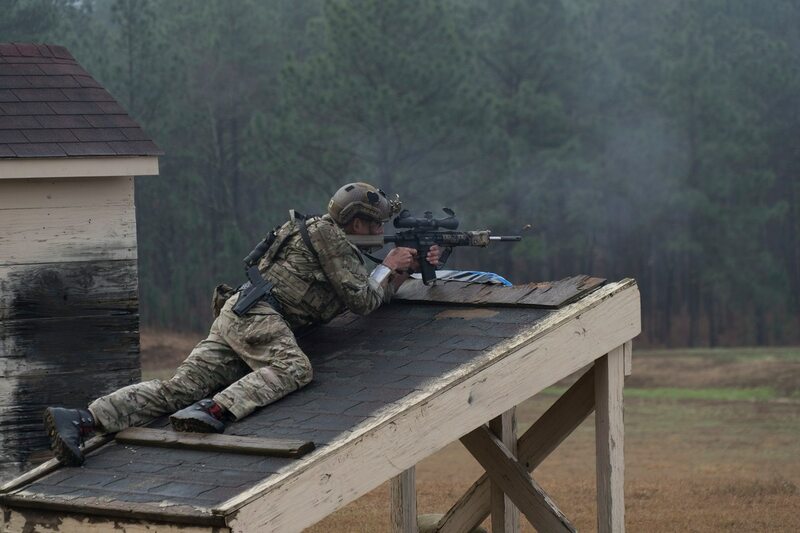 Last October, Special Operations Command took eight to 10 shooters from three of the special operations components and had them fire three sniper platforms over a three-day period, said Patrick Fisher, the acquisition program manager for ammunition for Special Operations Command. Those shooters fired Knight’s Armament’s SR-25, the M110A1 Semi-Automatic Sniper System (based on Heckler & Koch’s G28) and the Mk20 Sniper Support Rifle, made by Fabrique Nationale or FN, in three cartridges — 7.62mm NATO, .260 Remington and 6.5mm Creedmoor. Then they started looking at the correct cartridge combination, Fisher told an audience Monday at the annual National Defense Industry Association Armament Systems forum here. Two dozen combinations were evaluated before down-selecting to six, and now one combination of bullet size and shape with propellant, casing and primer are going through testing, he said.